What’s your body trying to tell YOU? A staggering 70 percent of us have reported suffering from regular bloating. Your body is basically trying to tell you you're not digesting your food properly or that you have a food allergy or intolerance such as to wheat or lactose. 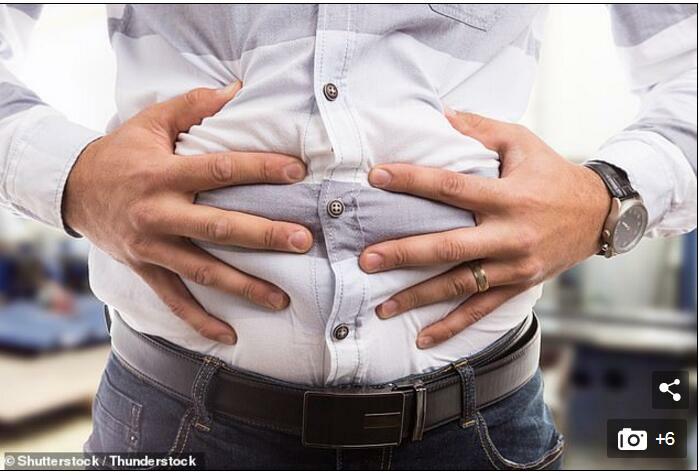 'Other common causes of bloating include hormonal issues, candida, constipation, too much sugar or booze, stress, dysbiosis (an imbalance between the good and bad bacteria in our digestive tract) or IBS,' said nutritionist Rick Hay. Simply eating too much at once can also dilute down the acid in our stomach, rendering it unable to start breaking down the food efficiently. Furthermore, enzymes that act optimally at a lower, more acidic pH, cannot function as well which means that food remains only partially digested and needs to be broken down further. This is usually done by bacteria in the gut and the consequent fermentation process results in the release of gases that may also cause bloating. 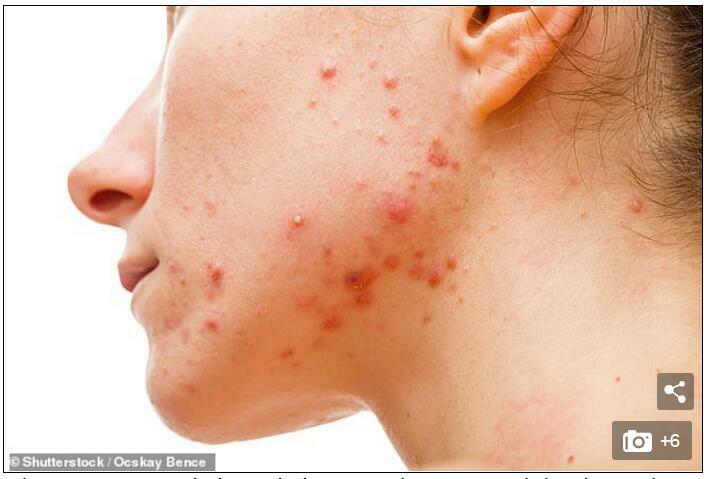 According to a 2013 review, the causes of skin inflammation and acne are many and will vary from person to person. However, the most common causes are often hormone-related. The review explains that testosterone is the hormone that promotes acne the most so acne is a big issue for males and teenage boys in particular. But women also tend to get acne flare ups about one week before their menstruation starts due to a dip in oestrogen levels which, funnily enough, prevent the development of acne. 'When you get acne, your body may also be trying to alert you to an underlying hormonal or digestive disturbance,' said Mr Hay. Red inflamed acne with a white discharge is usually indicative of excess carbohydrate consumption and bacterial overgrowth. A thin white coating on the tongue can be indicative of digestive disturbances such as microbiome imbalance, iron or B vitamin deficiency and possibly diabetes. 'In the case of iron and vitamin B deficiency it is quite likely you will be feeling constantly tired,' Mr Hay said. 'Thick, white spots on the tongue that look like pus are more likely to be oral thrush, leukoplakia, or oral lichen planus. Healthy looking nails should be smooth, curved, with a shine to them and have no spots. The thing about nails is that they can cause potentially serious self-image and self-esteem harm. Nail ridges themselves are nothing to be overly concerned about as far as physical health goes but if untreated, they can pose a social problem. 'That is not to say, however, that you shouldn't have them checked out by your GP just to be on the safe side,' Mr Hay said. 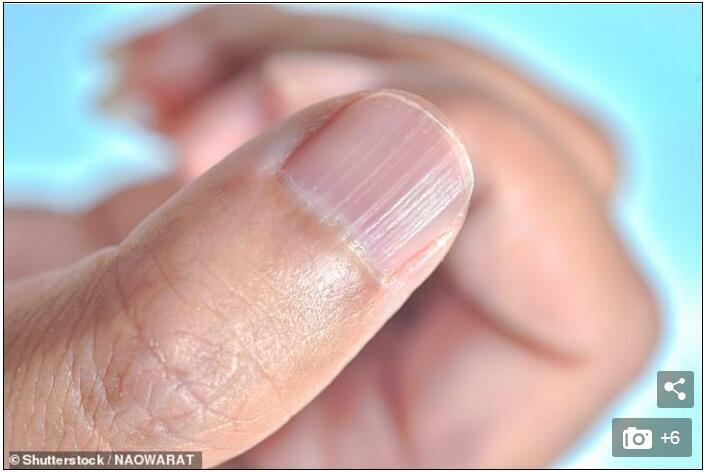 Vertical ridges - not horizontal - can be a sign of anaemia or even rheumatoid arthritis, Medical News Today reports. 'For starters, mouth ulcers are found on the inside of the mouth on the gums, tongue and inner cheeks whereas cold sores develop on the outside on the lips. 'Most importantly, whilst mouth ulcers are indicative of a weakening immune system, they are non-contagious. 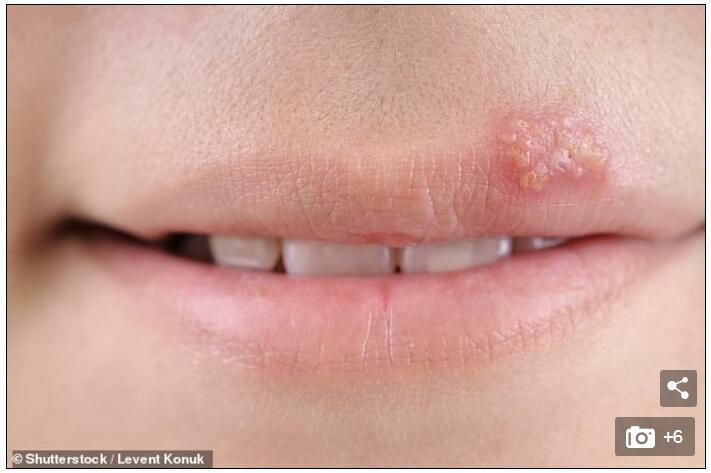 'Cold sores on the other hand are a manifestation of a dormant viral infection which flares up whenever our immune system becomes compromised for whatever reason. 'Whereas yellowing of the skin may be attributed to an excess intake of beta carotene, vitamin A and vitamin C, in which case it usually poses no threat, yellowing of the eyes is usually observed in people whose livers may be in trouble. 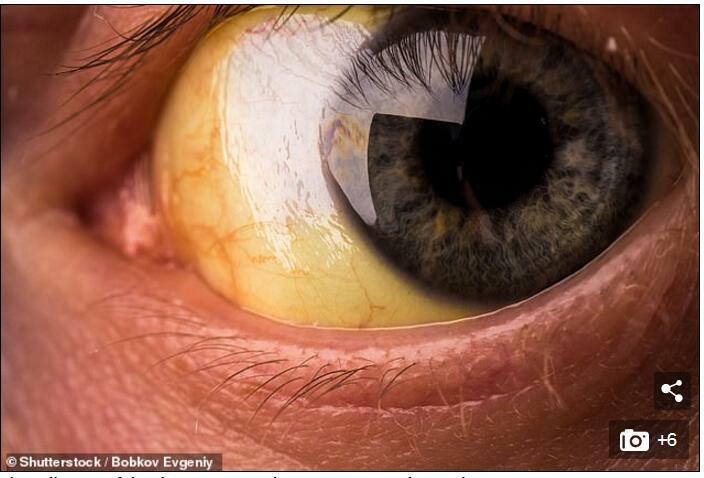 'Jaundice occurs when a compound called bilirubin builds up in the body. According to the NHS, jaundice can be caused by gallstones, alcoholic liver disease, pancreatitis, hepatitis, sickle cell, amongst others. If your eyes keep on twitching every now again out of nowhere, your body is trying to tell you that your nervous system is not very happy. But don't panic, eye twitches are rarely a sign of anything to be concerned about and more often than not will stop by themselves. 'Electrolyte imbalance and the hydration status of your body are quite often the culprits of nerve spasms and these can be easily fixed,' Mr Hay said. Eye twitches can also signify a magnesium deficiency. Magnesium is essential to nerve signal function, which is why lacking it could be causing your eye twitches.